This colander made of aluminum. Features a sturdy aluminum build and handles for easy handling while draining. 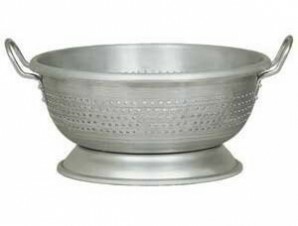 It is an important kitchen implement that may be used to drain liquid from cooked pasta or canned vegetables. 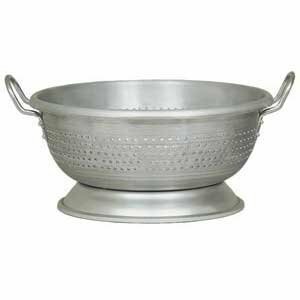 Without a colander, these processes would be difficult at best, and could potentially cause injury. Also features 14-1/2-inch diameter that is wide enough to catch a pot-full of food without worrying about spilling. It has capacity of 16-quart.